Humans and horses stepping towards healing together. To improve the mental health and well-being of military service members and family members, at-risk youth, and others with mental health needs through equine assisted activities and therapies including counseling and psychotherapy, therapeutic activities, education, and community engagement. To develop a facility exclusively devoted to professional mental health treatment through equine assisted therapies/activities and long-term mental health support at one location. S.T.E.P.S. 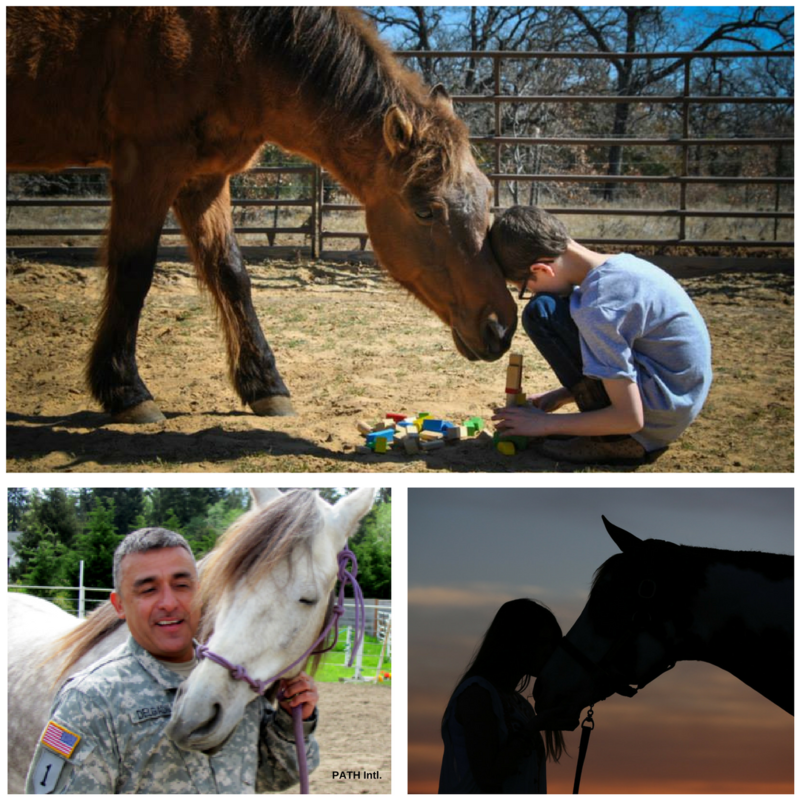 was established in 2017 in order to expand services and increase accessibility in order to fill a gap in mental health care for military service members and family members, at-risk youth, and others with mental health needs by providing a unique form of continuity of care through equine assisted therapies and activities. The S.T.E.P.S. Model is a novel cutting edge model to provide a Spectrum of Therapeutic Equine-Partnered Services (S.T.E.P.S.) in order to meet each individual's unique mental health needs through a spectrum of clinical and non-clinical services to promote positive mental health. There are many ways to support S.T.E.P.S. including monetary donations towards our capital campaign and/or programming. We are also seeking volunteers interested in donating time to assist with marketing, fundraising, and other special skill sets.